I am now officially done eating. Forever. Permalink: I am now officially done eating. Forever. Could you please move your stick? There are people trying to get past you. 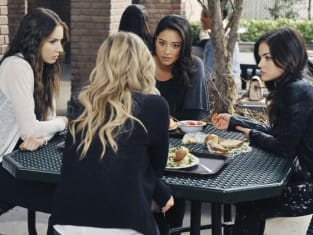 Pretty Little Liars Round Table: "I Must Confess"